“Open the app and start daydreaming,” writes Gardner. What it is: an app that puts more than 400 U.S. National Parks properties in your pocket. It offers an overview of national monuments, memorials, historic sites, historic parks, battlefields, recreation areas and more. Scenic trails and parkways also are on board. How it works: Open the app and start daydreaming. You can get the scoop on parks ranging from Independence Hall in Philadelphia to the sandy shore in Sleeping Bear Dunes in Michigan. And when the app is running, even offline as you explore a park, it will note that you have been there, and you can earn badges as you explore. Why it’s great: This app works online or off, which conserves data usage and battery life, whether you are hiking in Yellowstone or wandering a battlefield in Antietam or Gettysburg. If you want to spend your vacation in a national park, this comprehensive app can help you choose where to go. 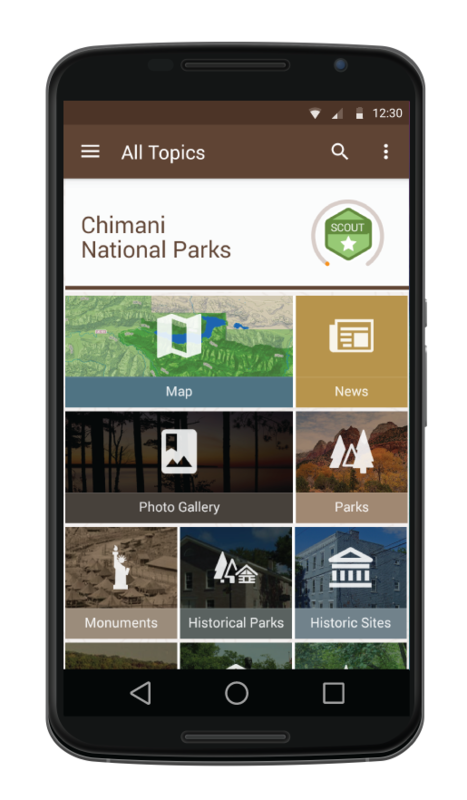 Chimani also makes more than 15 apps for individual parks ranging from Acadia to Yellowstone. The Android app has a more elegant display, but it also was updated recently. The iOS update should ready by the time you read this.